The fastest way to improve at poker is to study the most consequential and frequent spots, such as 3-bet pots. In this article, you will find some tips and tricks for 3-bet pots that will help you win more consistently. Your opponent 3-bet preflop from the blinds and you called in position. The 3-bettor fired a continuation bet (c-bet) on the flop. The 3-bettor checked the turn. Hand 1: What’s the best size to use, here? Online $0.25/$0.50. 6-Handed. Effective Stacks $50. We raise to $1.25. 3 folds. SB 3-bets to $4.5. BB folds. We call. SB bets $4.75. We call. Preflop: Even though AKo is a hand that usually fits nicely into a 4-betting range, it’s okay to call in this situation (SB vs. UTG). Most players have a very snug and strong range when they 3-bet from the SB, here. Consequently, there isn’t much value to be gained by 4-betting the hand. Flop: We have a very easy call after flopping top pair. We are way ahead of the SB’s overall range and even dominate some of his value betting range (e.g., AQ, small Axs). Turn: Here’s where things get interesting. Once he checks, the SB is very likely holding some sort of medium-strength hands such as QQ, KK (both of which may have been played differently on flop), KJs, QJs and some hands like Axs, AQ and AK. He is very unlikely to check here with strong hands such as JJ, AA or KQ because most players will opt to choose the straightforward option of betting for value on such a dynamic board. Go for a small bet on the turn and on the river. This play targets hands such as KK, QQ, KJs, QJs. If he has these hands, he’ll be in a tough spot on the turn and river. Go for a medium bet on the turn and a shove on the river. This play puts hands such as KK, QQ, KJs, QJs in a tough spot on the turn, and hands like AQ and AK in a tough spot on the river. Bet large with a polarized range (2 pair+ and bluffs) and check back AK. This line is probably not the best. We should only do this if the SB is going to have some slowplays and we think that AK is not strong enough to bet for value. But this is likely not how the vast majority of players tend to approach this spot. Of these three options, it seems close between the first two. Given how populations tend to play (nitty vs bet), I would favor the first option, going for a 1/3 pot-sized bet on the turn and something around half pot on the river. Join Doug Polk & Ryan Fee in the Upswing Lab as they show you a cutting-edge c-betting strategy that will elevate your win-rate (3.5+ hours of content). Hand 2: Should we value bet? 2 folds. We raise to $1.25. 2 folds. BB 3-bets to $4.5. We call. BB bets $3. We call. Preflop: AQo is clearly strong enough to call against this 3-bet. Not only will we get to play the hand in position, but we also have solid equity versus the BB’s overall 3-betting range (we even dominate part of it). Flop: We are faced with a small c-bet of around 30% of the pot, which the BB may (and probably should be) doing with his whole range in this spot. This means we need to win the pot just over 23% of the time after we call in order to make it a profitable play (according to our pot odds). Blocks some of his value range (hands like AA,AK,KQ). Crushes some of his bluffing range (hands like QJs and small Axs, which we also have good implied odds against once we both hit an Ace). Can improve to beat some of the rest of his value range (hands like TT,JJ,QQ). Plus, we can also steal the pot later on. Turn: Things get interesting on the turn again. If we think the BB will overbet at a decent frequency on the river if we check back (which he should do, in theory), then this hand fits perfectly in our check-back range. However, given that most players, especially at micro/low stakes, rarely make such plays, it becomes much better to play this hand in a straightforward manner. We should simply look to extract value on the turn and the river (from weaker Ax suited hands and some Kx). Betting somewhere around 66% pot on both streets should do the trick. Remember that we will also have bluffs in this spot, such as QJs and JTs that floated the flop with a backdoor flush draw. Betting with AQ would balance out those hands nicely. Hand 3: Time for a protection bet? Americas Cardroom $0.25/$0.50. 6-Handed. Effective Stacks $50. 3 folds. We raise to $1.25. SB 3-bets to $4.5. BB folds. We call. SB bets $3. We call. Preflop: Pocket pairs are generally very good hands to call 3-bets with, and especially so when in-position since they can call c-bets on many boards or hit sets and win very big pots. Flop: Our hand has enough equity to continue against a c-bet. Most of SB’s 3-betting range has missed this flop, but we can still expect him to c-bet frequently due to the amount of equity that many of his missed hands have. Turn: We have the option to bet or check. In theory, this medium-strength hand should just check back in order to hopefully see the showdown. However, this is the correct play assuming that the SB will be check-raising at a relatively high rate with both value and bluffs. A check-raise would put 77 in a tough spot, and so checking back would be the correct line to take. If you suspect that your opponent will not be aggressively check-raising in this spot, then betting becomes a viable option. Our hand benefits from protection against the missed hands that our opponent will have (which will usually have two overcards to our 77). However, checking back can also be good if you think the SB will over-bluff on the river once you check back. This would incentivize our hand to check in order to induce a bluff from the multitude of missed hands that the SB will show up with on the river. As with every spot in poker, it will often take work to find the optimal play in 3-bet pots. Just remember that the correct one will almost always be the one that puts your opponent in the most difficult spot with most of their range. That’s all for this article. I hope you enjoyed and that you found it useful! If you have any questions or feedback, please let me know in the comment section down below. Till’ next time, stay sharp grinders! The Upswing Lab is what world-class players would teach their younger selves about poker. Get in the Lab and Start Improving Today! 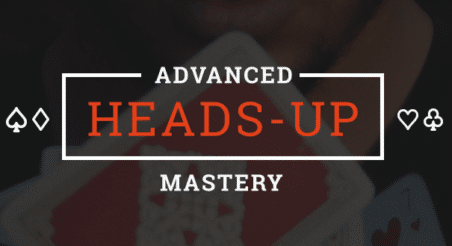 Grab a Free Poker Resource That Will Level-Up Your Game!